The Elder Scrolls V Skyrim has been released on Nintendo Switch a while back, but unlike the recently released Special Edition, this version of the game lacks mod support. And it sadly seems like it won’t be coming anytime soon. 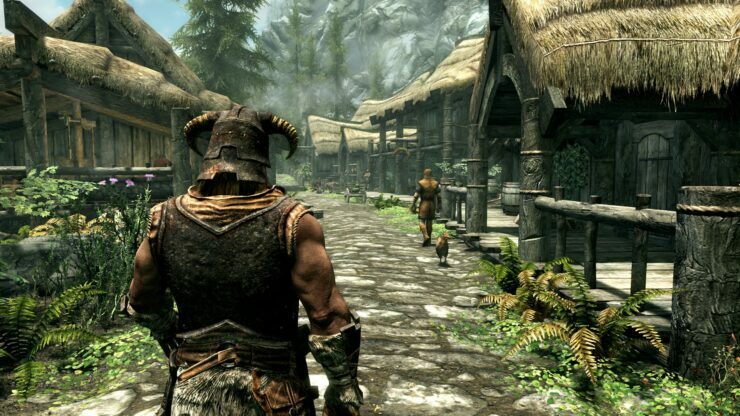 Speaking with Eurogamer, Todd Howard said that while he would love to see mod support on Nintendo Switch, they aren’t working on bringing the Creation Club at the time. They asked for mods, they asked for Creation Club – ‘When are we getting more stuff? Right now we’re doing nothing, People, they’re on other things. Our Switch group did Fallout Shelter … and that’s done really well. I’m surprised at how well it’s done. We would love to see it happen but it’s not something we’re actively doing. While it lacks the Creation Club, The Elder Scrolls V Skyrim on Nintendo Switch is a solid experience. The Elder Scrolls V: Skyrim isn’t something I thought I would play much on Switch, but in fact, I’ve hardly put it down. It runs well, looks good, and most importantly, fits the form factor perfectly. Unlike DOOM, this is a port with absolutely zero compromises and offers a full-fat Elder Scrolls experience.